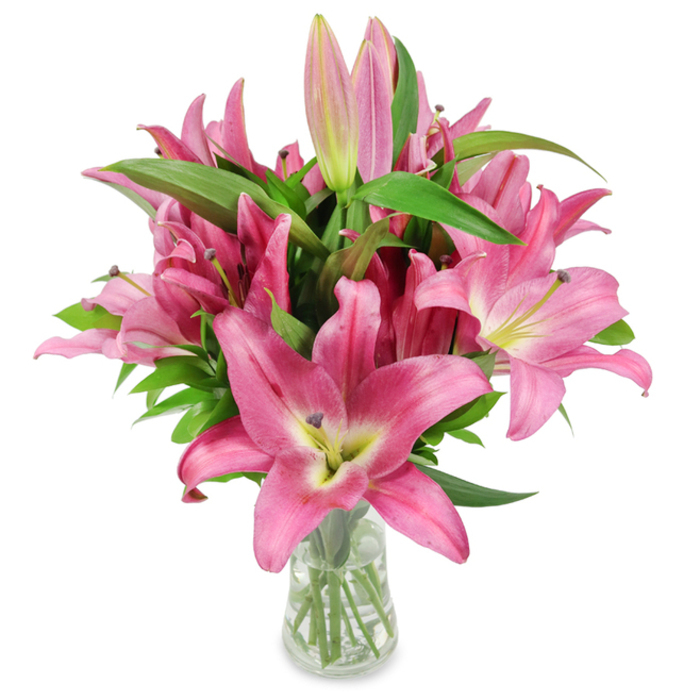 This gorgeous bouquet of pink liliums conveys beauty, freshness and elegance which can make anyone instantly fall in love with it! My favorite flowers, my favorite color and my favorite man surprising me with them. I could not have a better day. I wanted fresh flowers and fresh flowers did I receive! Excellent service straight from the beginning! My wife was over the moon because of this bouquet! Good rating for a good company. Ordered last week for a next day delivery. Flowers arrived on time and looked fancy. Your florists did a great job. Highly recommend this company! The bouquets are unique!